Counterfeit detectors and counterfeit detection (for forged and fake banknotes), cash counters and money counters from Anglo-Tech Services Ltd.
We supply: Forgery Detection Equipment - Counterfeit Detection Devices, Money Counters, Cash Counters and Scales, Price Computing Scales, Coin Counters and Coin Racks, Secure Under Counter Cash Safes, Ultraviolet Lamps - A full range of counterfeit detection systems. Click here for the latest SPECIAL OFFERS! Welcome to Anglo-Tech Services - the home of the counterfeit detector (for forged notes and forged bills and fake banknotes) and cash counting equipment (cash counters and money counters). 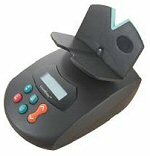 All full range of counterfeit detection equipment and systems. We supply a wide selection of currency products ranging from counterfeit detection to help detect forged banknotes, Credit cards etc, through to money counters, price computing scales, (cash counters and money counters). We also have access to a vast range of Manufacturers and Suppliers so, if you can't find a product in our range of counterfeit detection equipment or cash counting equipment to suit your needs or requirements, then please give us a call and let us find it for you. Non-EC compliant equipment is becoming increasingly available on the market. You can be sure that only EC compliant equipment is available from Anglo-Tech. False information is being claimed on auction sites about the compliance and function of counterfeit detection equipment. Be sure you are buying from a reputable source! £7 Million is going missing in counterfeit and forged Giros (Giro Cheques). Contact Anglo-Tech for the best advice and products. us from taking several forged £20s and £10s notes. they do not even try & pass us forged notes any longer. We recommend any store to use Check a Note." 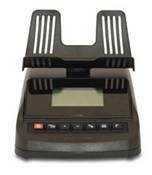 All of ourweigh scales are extremely accurate fast and easy to use. We have basic notecounters with in built Ultra-Violet forgery detectors that should detect the vast majority of older counterfeit banknotes and forgeries. But most of our higher grade, low price, note counters have Superior UV, magnetic ink & Thread and Infra Red forgery detection as well as Note Imaging sensors for the highest levels of Forgery Detection in many Currencies. 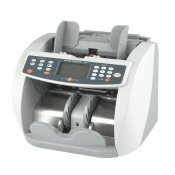 Some of our bank note counters have magnetic ink and ultra violet forgery detectors and forged note detection equipment. Also Available: Forgery Pens - Large Capacity, Original Detector Pens (Black & Gold) and now New Large, Square Yellow Pens adding image of pen. We have electronic currency detectors for Euro and US Dollars to check various bills and their security features, like infra red IR Magnetic Ink MG and MI Ultra-Violet UV as these features are rarely found on fake bills. We also have volume coincounters and coin sorters that enable coin counting speeds of up to 1800 coins per minute and feature batch count stops for Banking Bag quantities. Our check-a-note money detector is very easy to use and is extremely effective for checking all English Scottish Euro US Dollars and other banknotes from nearly 200 countries. Our Customers include High St Banks in the UK and Overseas, Post Offices, Councils, Colleges, Universities, Fast Food Chains, Major Multiples, Supermarkets, Pubs, Hotels, Theme Parks, Amusement Arcades, Corner Shops, Zoo’s and many other Retail Outlets of all types. We also offer unbiased advice as to the products to best suit your requirements, not ours. All contents copyright © - Anglo-Tech Services. All rights reserved.